Oil on wood panel framed 19th. A lack of paint on the sky at the top of the panel - see photos. 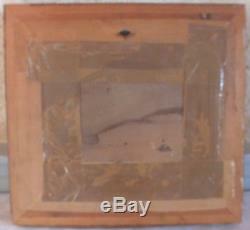 Frame 31.5 x 29 cm. Painting 21 x 17 cm. All our parcels are made with care, bubble wrap, biodegradable cushioning shells, solid cartons. 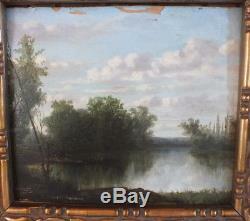 The item "hsp oil on wood panel 19th C. Cholet painting table" is on sale since Thursday, September 14, 2017. 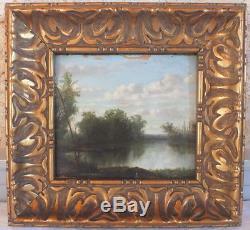 It is in the category "art, antiques \ art of the nineteenth and before \ paintings, enamels". The seller is "azantic33" and is located in abzac.